I’ll have fresh battle report for you on January 1 as Dave and I duked it out medieval HoTT style this afternoon (%^*%#ing dragons). But I wanted to make one final quick post before the year was out. Last year I painted 2870 figures, which was almost double my 2010 total and far more than I thought I would. In 2012, I’m aiming for only about 1000. That should allow for a fair bit of commission work plus a chance to paint my pile down to nothing. 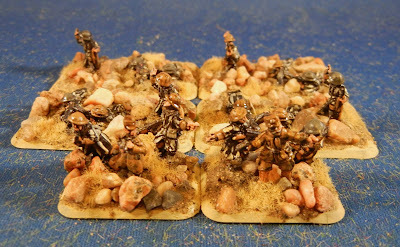 First up are a bunch of plastic 28mm ancients that have lingered for several years. 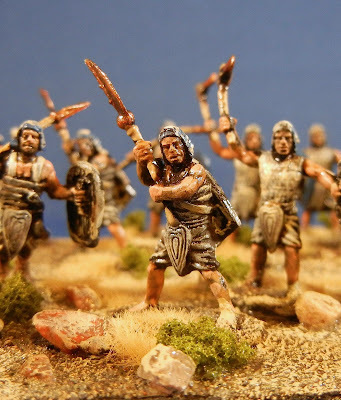 I have 16 Roman republican foot to do, a few mounted, maybe 30 Imperial legionnaires and a couple of sprues of Celts (who seem to be breeding while I’m not looking). Following them will be some 28mm Carthaginians, although I may do some 15mm Ancient Spanish first to fund the completion of the Carthaginian army. 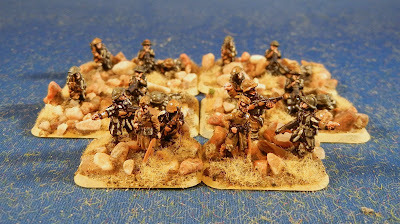 Thereafter, there are some 1/72 British AWI reinforcements but they are a low priority as I have a huge number already painted and based. 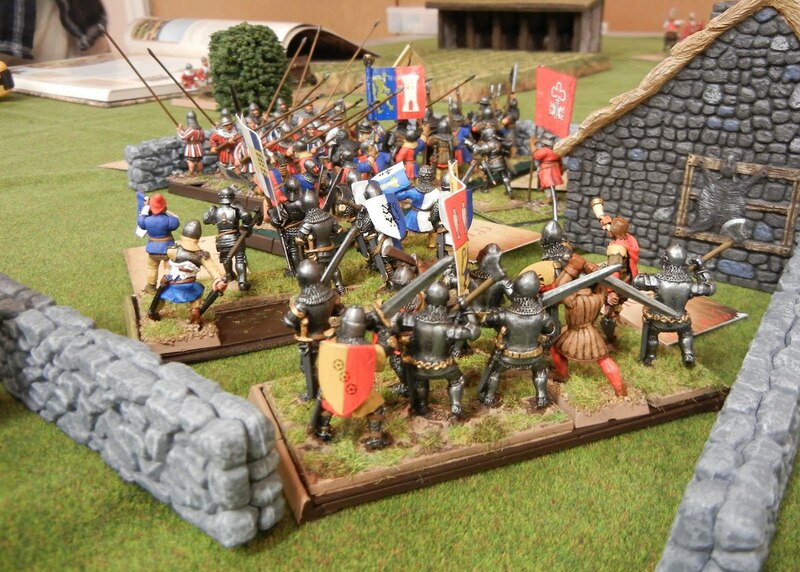 So likely I’ll return to 28mm plastics and try to finish off some medieval pike and then some renaissance foot. My big push this year is to get my terrain up to snuff. My trees are crying out for refurbishment and I could do with some roads, walls and some large buildings for superhero gaming. I also have thoughts about painting my Battlelore figures, but I think that would be an autumn project, if at all. I guess we’ll see how far I got with these projects in a year’s time. Now off to do some skating before the end of the year. 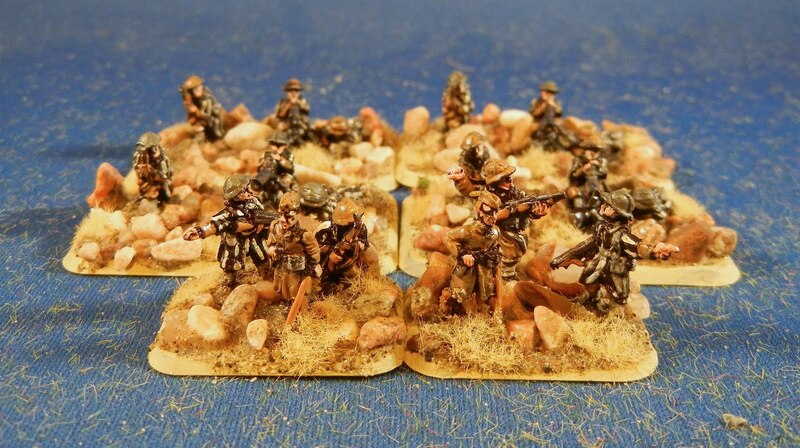 And these are the rest of the 15mm Flames of War Goum infantry that I completed as a commission over the holidays. These will be the last new figures of the year bringing my painting total to 2870 figures, mostly 28mm and 1/72-scale figures, although a bunch of 10mm figures helped the total some. We start out with the HMG unit. There are a couple of bases of officers. 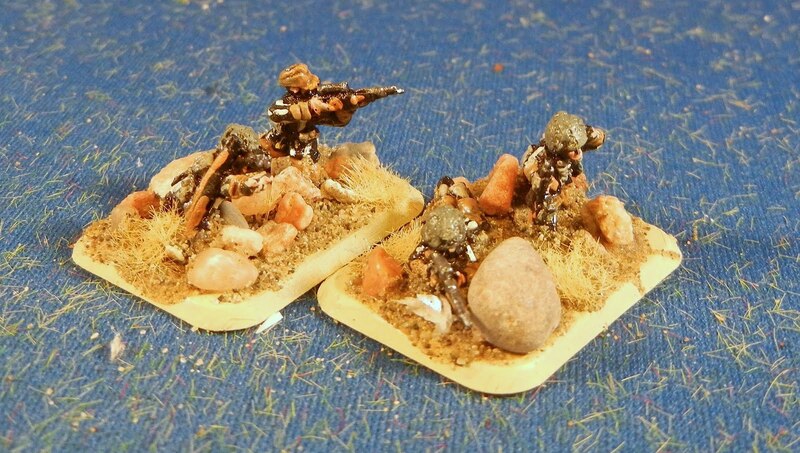 And four bases of gunners. Then we have the LMG squad. Again we have some officers. This fellow was my favourite of the batch--looks like he may have fought in WW1 and re-upped for the second go. 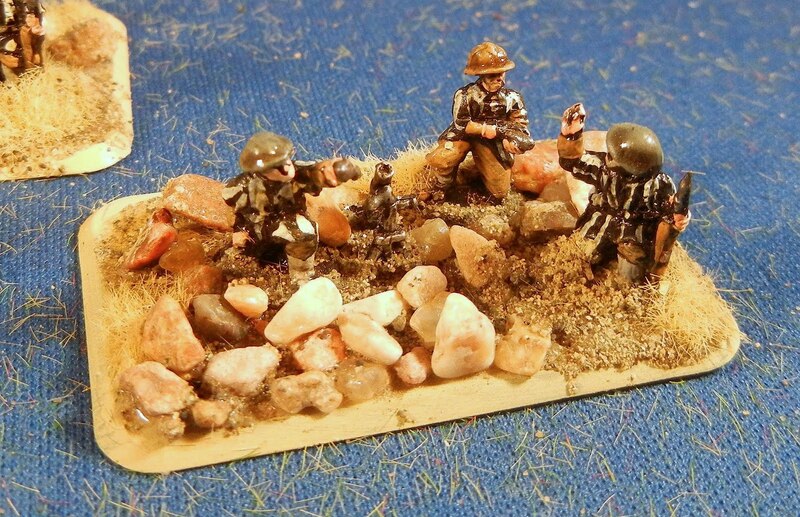 Then we have the mortar platoon. There are two nice bases of officers, including these fellows with their map. And there are five bases of mortars. All told, just over 600 points and exactly 100 figures. Up next: Dave is dropping by for some HoTT today and Bruce will be dropping over for some Star Trek Fleet Captains on Monday and then it is back to work for me. I'll also be running a four-player game of Fleet Captains at the club on Tuesday. On the painting table are some 28mm Republican Romans--the metal is done and I hope to move onto the flesh and blocking in the clothing and the shields. 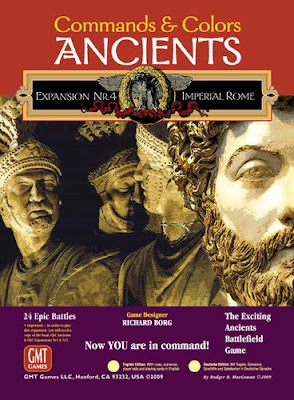 After that, perhaps some 28mm Imperial Romans that have been lingering for years. Craig brought the girls by for a playdate today and while they had fun in the basement, we played a couple of games of Epic Battlelore. The last time we played Craig walloped me good so I was out for revenge. We set up a playtest of my MayDay game to see how it ran. I think I'm going to run the "reluctant allies" version for MayDay but we just played a two-player game. 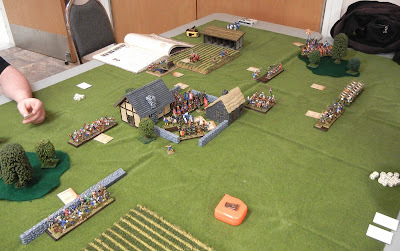 In game one, I managed to win on the right, with the horse eventually outflanking him and starting to roll up his line. Good command cards plus a lucky bit of lore play really helped me out. We had enough time to play a second game and we kept our same sides. In the second game Craig formed a solid (and very intimidating) line in the middle. 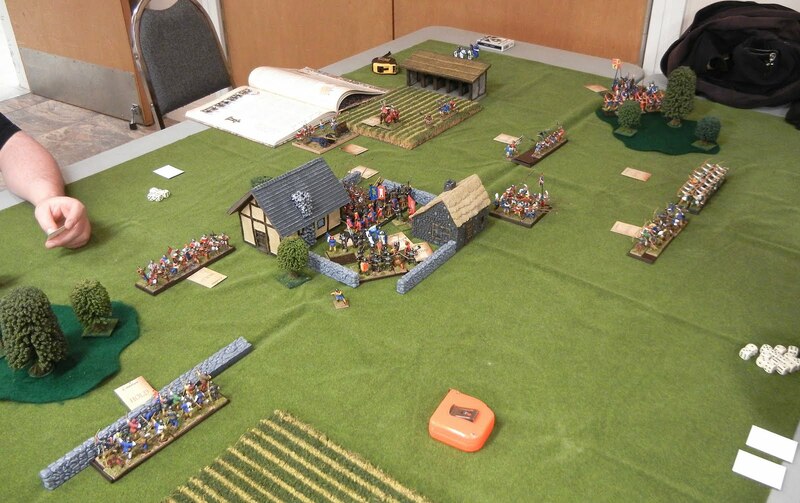 I (uncharacteristically) fell back in the middle and marshalled my forces. Again, lucky horse play on the right helped and I was able to use my cavalry in the middle to tip him over the break point. Overall, I'd say the game will work for MayDay. There are lots of units, a bit of interesting play with the lore deck but nothing too complex for first time players. I might well shorten the river on the left and move the ford closer to the far side of the board to change things up. Need a bigger playtest with four guys to see how the reluctant allies variant affects play. Up next: More FoW French tomorrow. Dave is also stopping by for some HoTT. I have some Roman auxilia on the painting table and Bruce is coming over Monday for some Star Trek Fleet Captains. And the club is Tuesday! This is a good gaming start to the year! 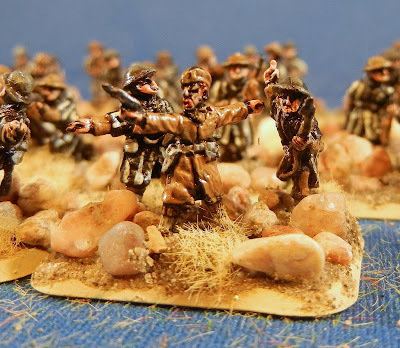 I've just completed a small commission for some 15mm Flames of War French infantry. These are Goum troops who wear funky robes over top their uniforms. First up is a rifle platoon. I see the colour is shifting to the yellow (didn't let the lights warm up enough, I guess). 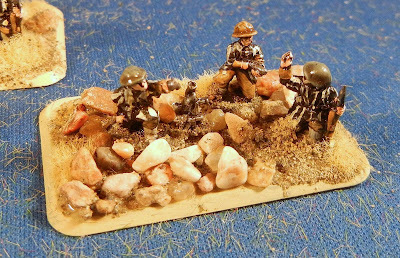 From what I can tell, this basing is roughly consistent with the Monte Cassino campaign--rough stone with a yellow tinge. I tried to follow the pictures I was sent in terms of the colour scheme. 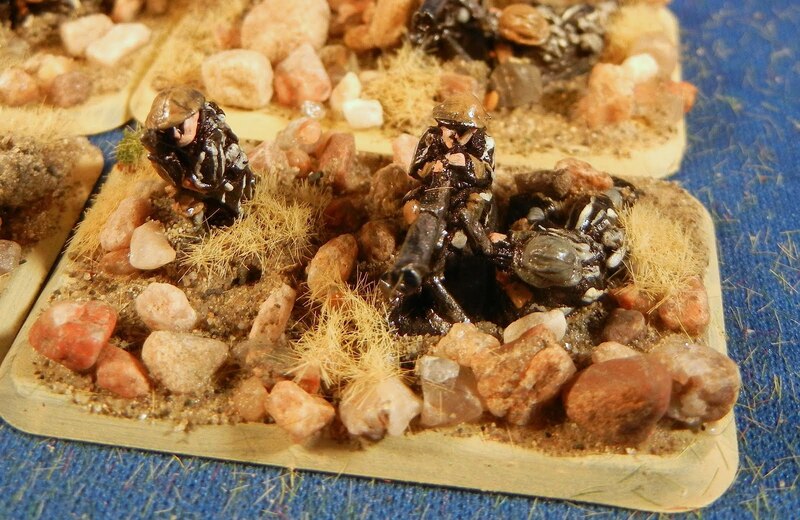 While the figures were lovely, the large and deep bases for each figure made it tricky to base them--hence the rocky terrain the Goum favoured operating in. There are a couple of bases of officers with this rifle company. And, below, there are also two bases of snipers. 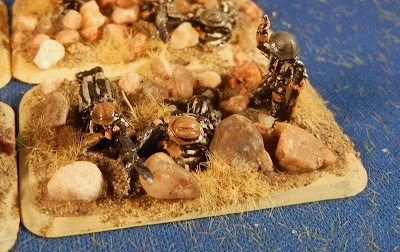 Up next: The support weapons are drying as we speak (lots of MGs and mortars). Craig is dropping by today for some Battlelore and I also have some 28mm Roman auxiilaries that I need to prime if the freezing rain will stop. I swung by Mission Fun and Games Boxing Week sale today and picked up the 4th and 5th Commands and Colors Ancients Expansions. The store was reasonably crowded given it was the third day of the sale. As I was driving home I got to thinking about how much more gaming I did in 2011 than in 2010. I started tracking games this year, in no small part due to the gaming Jess and I do. In 2011, I played 235 games, of which 117 were serious games. The rest are short, family style games (Bendomino, Noisy Noisy Hippos). 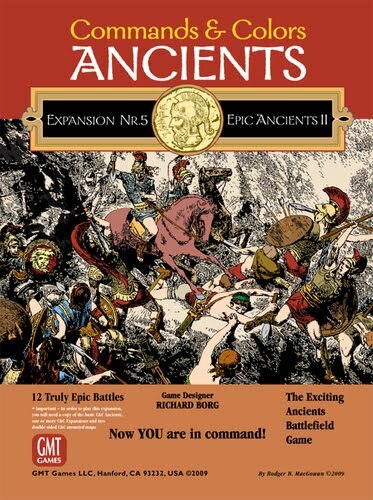 At the top of the list of serious games were various Richard Borg designed: Battlelore (18 plays), Commands and Colors Napoleonics (12 plays), Commands and Colors Ancients (6 plays) and BattleCry (1 play where Jessica crushed me). 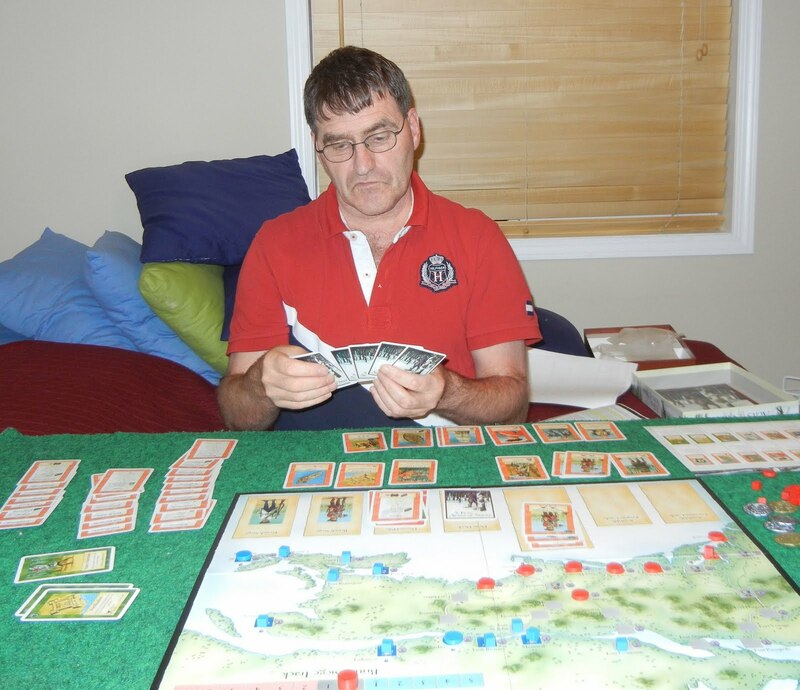 Following that there were 20 plays of DBA/HoTT and six plays of Borg-derived AWI/1812 games by Worthington Games. I expect we'll see more serious games in 2012 as Jessica becomes able to play and win more complex games. 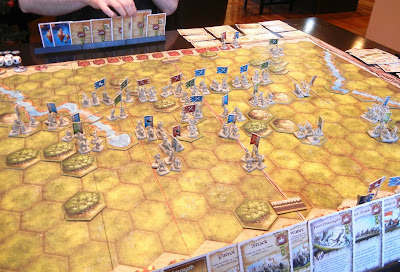 I'm chuffed to play more Battlelore and the epic versions of both Battlelore and CCA at the club. Up next: I have 100 15mm WW2 figures that I should finish basing today between family events. And I have 16 28mm Roman auxilia built and ready to prime. Tomorrow Craig will drop by for a playdate (and some Battlelore for us) and Dave is set to bring the girls by on Saturday (with some HoTT for us). I've also made great strides in cleaning the hobby room and putting together a list of projects for 2012. As I work my way through older terrain projects and odds-and-ends, I ran across three sets of walls I'd picked up more than a year ago. 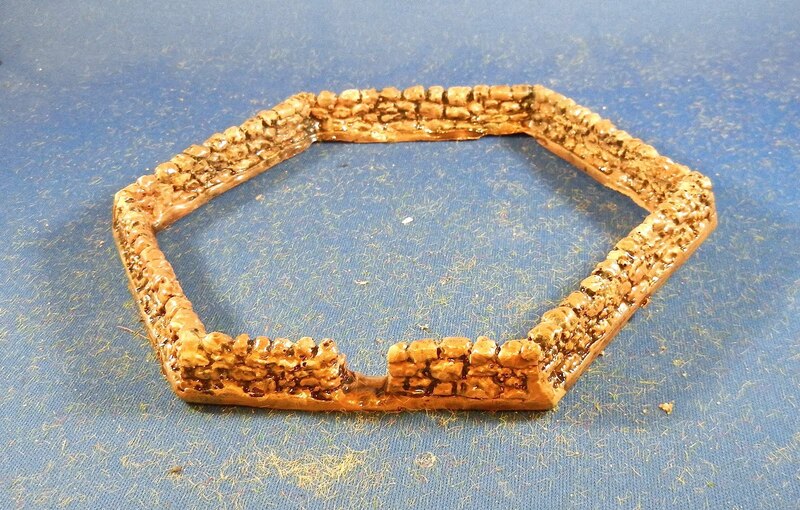 These are resin walls and are designed to fit on four-hexes. 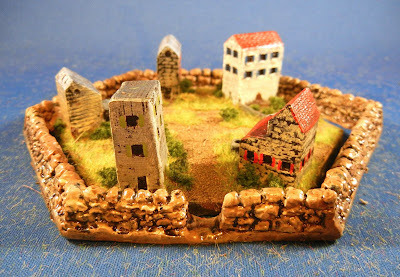 They came with some resin hex towns and fit around them to represent fortified towns. They can also be used on their own to represent "camps" in CCA. Another piece of terrain I need to figure out are some 60mm-long fortifications for CCA/Battlelore. I think I'll likely use skewers set in blue tack on some vinyl floor tile. And alternative would be some air-drying clay as the base but i think that would be too light and tippy. 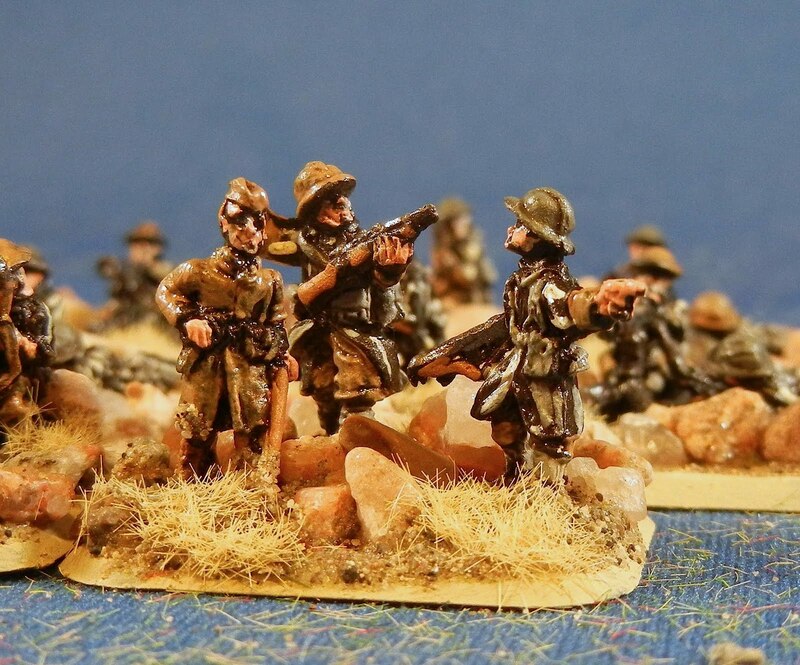 Up next: I'm working on some FoW French (flesh and uniform colour done--now onto painting a stripy camo pattern on the smocks). After that, I have some more towns to paint and then maybe some 28mm Romans. I've finished the last of Craig's 1/72 Egyptians and he can take them home when he drops in for a playdate with the kids next week. I'm keen to have them out of my hobby room as getting it cleaned up is one of my holiday tasks. Sorry this group shot is soft. I could swear the camera was autofocusing on the front row of figures bit it seems drawn to the pattern in the backdrop (which is super crisp!). I was quite happy with how the figures turned out. The flesh has enough depth (since there is a lot of skin in this army) and the armour drybrushed quite nicely. These were very easy to assemble, which is not my usual experience with chariots. Up next: Well, the inlaws are en route and I have a lot of drinking to do before they get here. I finished up some stone walls that I will show off tomorrow. I also have 600 points of Flames of War French Goum infantry built, glued to sticks and primered. That is a lot of stripes to paint! We'll see how far I get on them but that is the next big project. 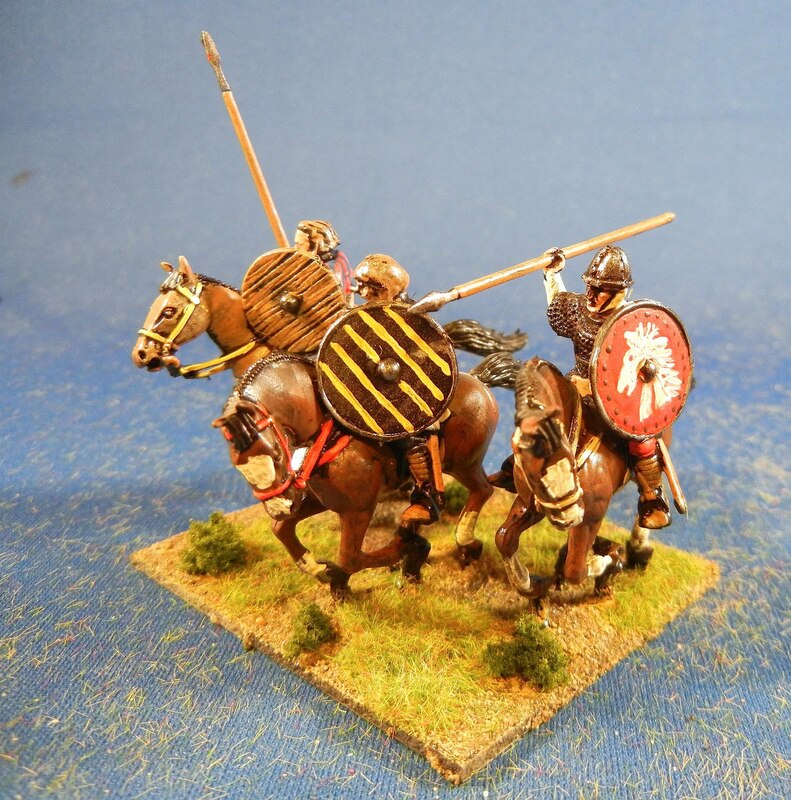 Then perhaps some tree repairs and some 28mm Roman auxiliaries. 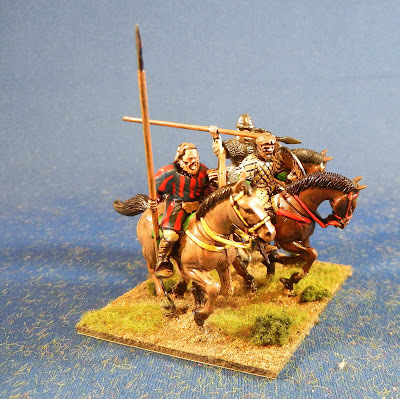 I discovered a half-finished box of Conquest Games 28mm Norman knights on my shelf and decided to complete these as generic dark age cavalry units. I swapped out most of the Norman heads for Wargames Factory Saxons and Vikings and use round shields (instead of kite shields) to make them less Norman looking. 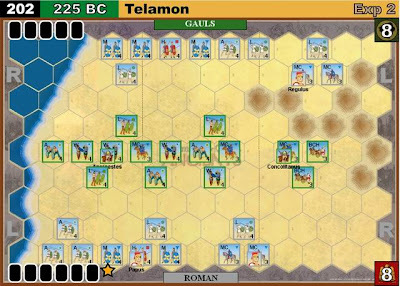 Overall, a workable result that gives some of my dark age armies some additional punch. This also fleshes out the orbat for my MayDay game of miniaturized Battlelore. I have a few more items to finish up, including some terrain. I also hope to get a playtest in with Craig on the 29th. 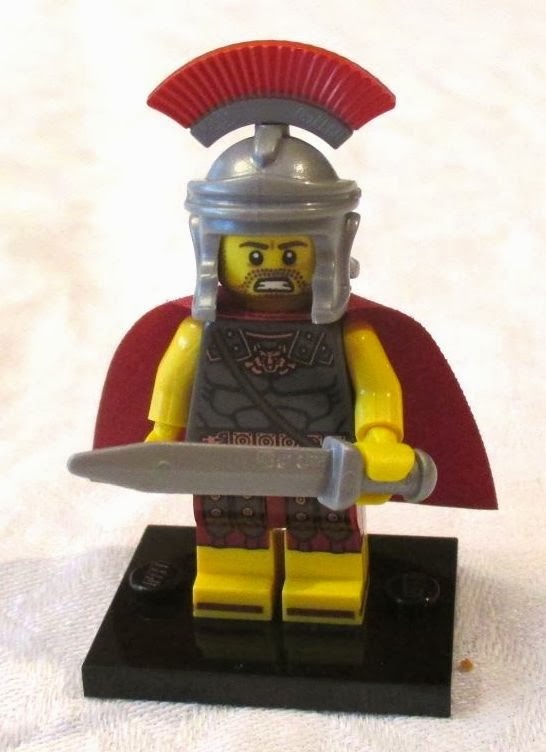 I see a bunch of WF Romans that I reserved to paint up as auxiliaries so that will be my next shelf cleaning project. Up next: I am working through my terrain box and have some hexagonal walls (which fit over cities or stand along to represent camps that are drying. 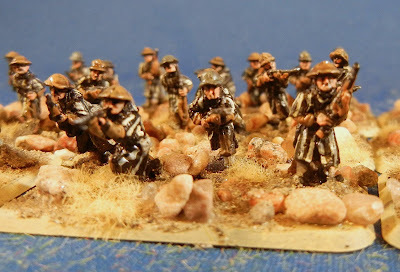 I also have Craig's NKE chariots almost finished (just need to flock) and I have opened and started cleaning a bunch of 15mm FoW French for a commission. 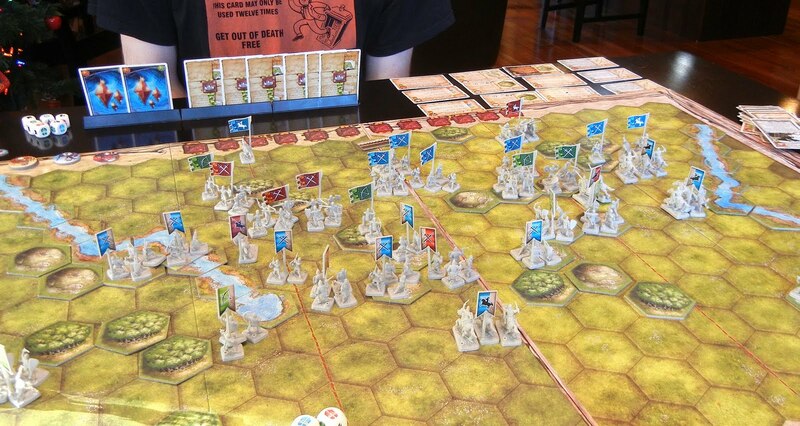 I've been playing a fair bit of Command and Colors Ancients and Battlelore lately and plan to put on a large Battlelore game for our MayDay convention. 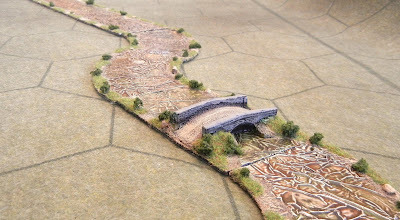 I think I will be using 28mm miniatures on my 4" hex mat and I wanted to have a nice river to use. 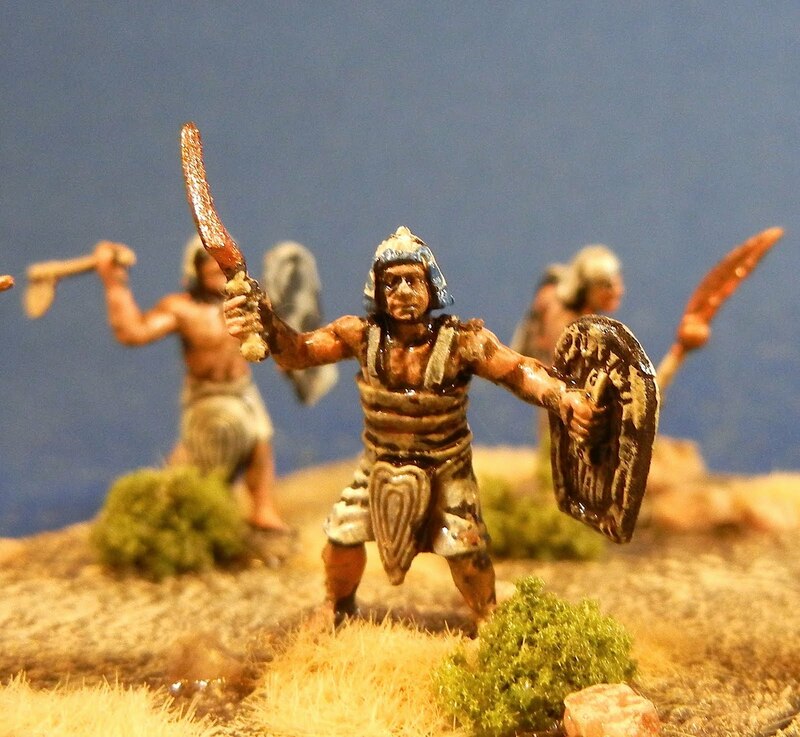 In general the next year will be about improving or replacing old terrain more so than painting new figures. 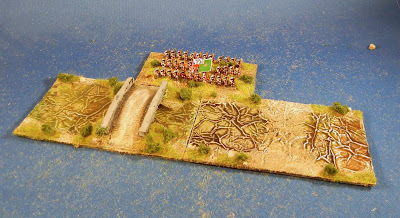 These river pieces are all 60mm wide and either 100, 200 or 300mm long. This fits nicely in the hexes I have and can also be used to other systems like DBA and HoTT. There is roughly 10 linear feet of river all told. In addition to the straight sections, I have done some curves (and I may do a few more) as well as two bridges and two ford. 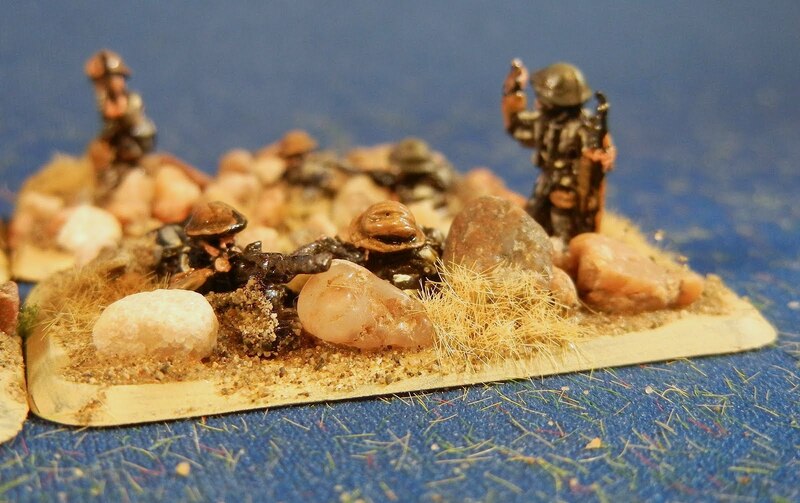 I've pictured one of each above with some 6mm AWI troops. The bridge is a Timecast bridge I have had laying around. 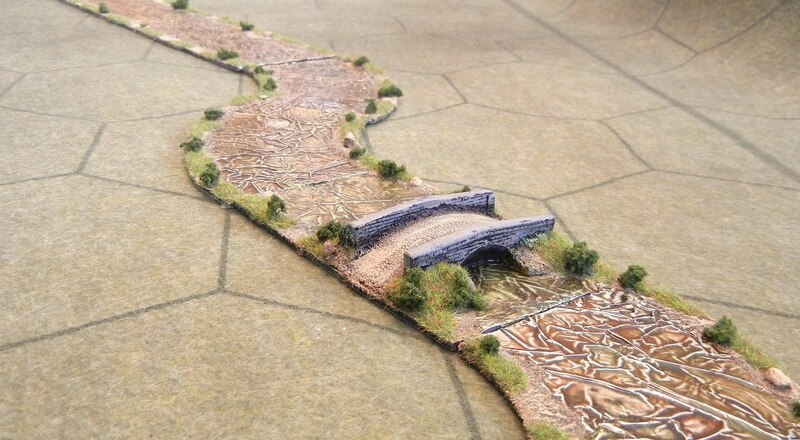 The rivers are reasonable functional on the table (pardon the colour shift due to crappy winter light). 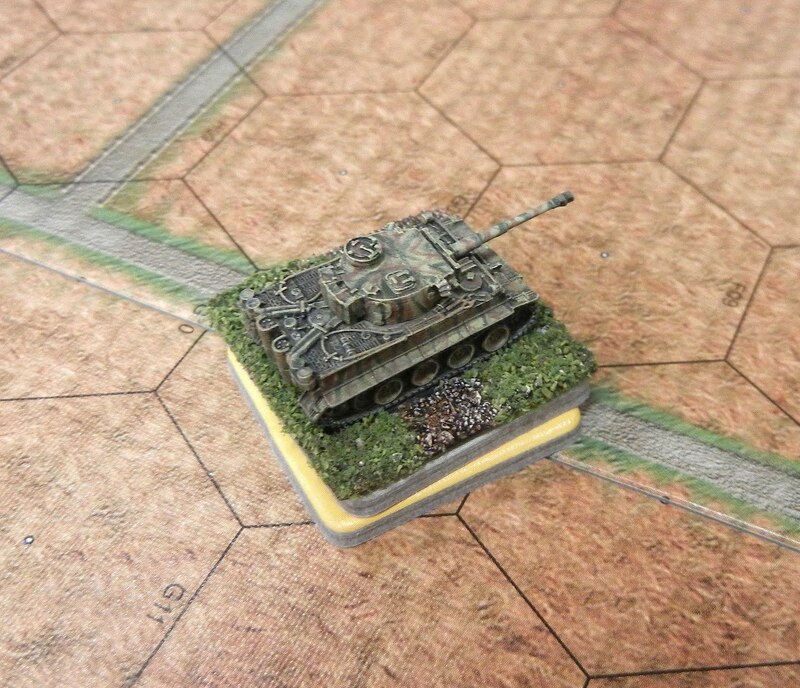 They will look better when there are other terrain features in play. I've built rivers like this before and they are quite durable over time. Up next: I have some 28mm dark age cavalry through the basing process and drying. I also have some 1/72 Egyptian chariots that I am almost finished painting. 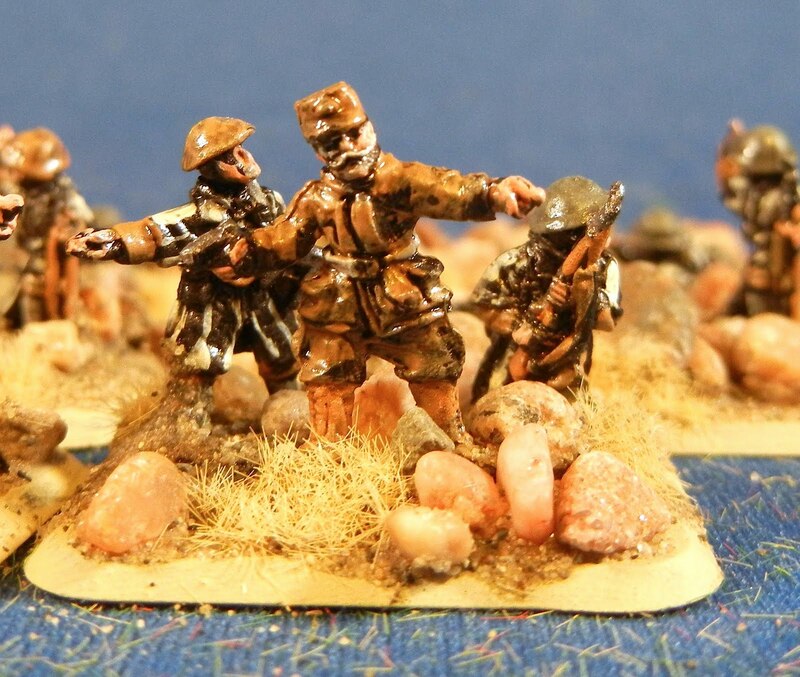 And there are a bunch of 15mm Flames of War French infantry that I will start cleaning tomorrow. 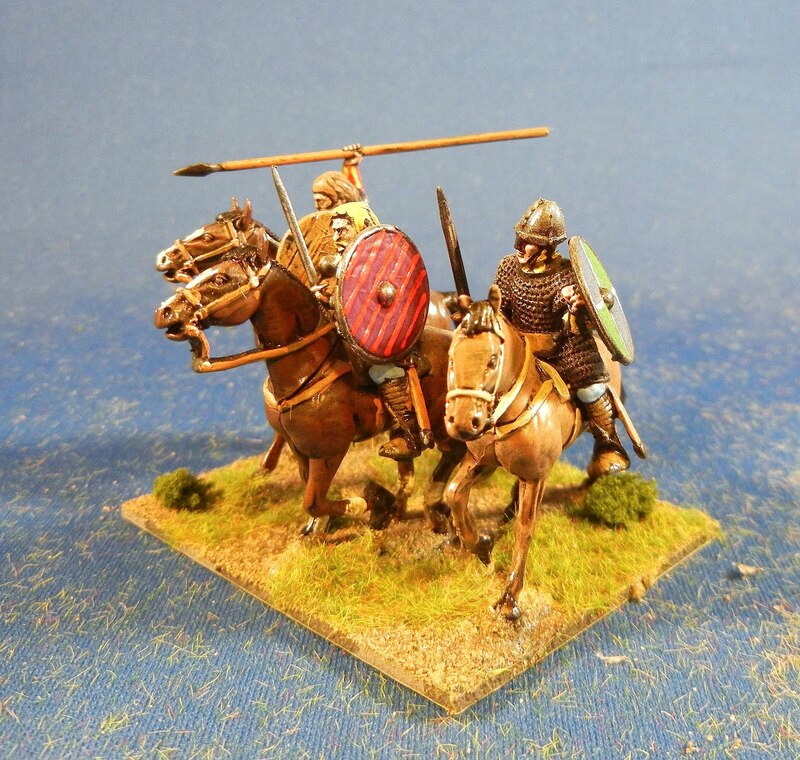 After that--maybe some 28mm Roman auxiliaries and perhaps I will look to rejuvenate my trees. About 229 gamers came out over the 24 sessions, this we have an average of 9.5 gamers per night. The busiest night saw 15 gamers and the slowest 5. The summer was particularly slow this year which is a change from previous years. All time attendance record is still (to my memory) 18 guys. A couple of (related) trends. 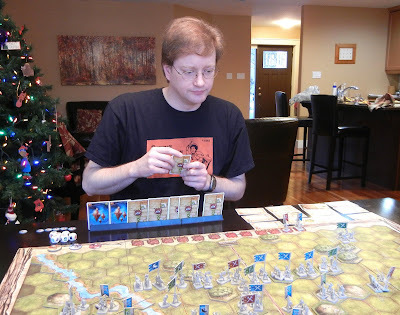 We often miniaturized board games (where this happened, I allocated them by genre, not to the generic "boardgame" category) and we played a lot of Richard Borg games (CCA, CCN, Battlelore) this year. 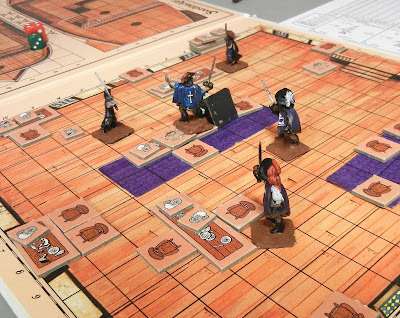 If you were to combine board games with miniaturized versions of board games that would be largest category by a long shot. Here is to more gaming in 2012! We had 10 guys out to the last club night of the year despite the driving sleet storm and there were four games played. Scott and I played a game of CCA using the Telamon scenario. I won't reprise the four tries we had other than to say Scott inflicted a beat-down on my that would be more appropriate to the biblical era than 225BCE. Wow, what a thrashing. Kevin brought out a game of Conflict of Heroes. THe production quality of board games sure has improved over the past 20 years. He also added some micro-armour vehicles to replace the counters which looked pretty slick. Dave hosted Chen, Guy and Chris in a game of Condottiere. Very pretty but no idea how things went. In the midst of things, Bruce and the guys presented me with a gift for my years of service to the club: a copy of Star Trek: Fleet Captains. Now a gold watch would have fetched a higher price on eBay last night, but I did alright given that the plastic wrap was still intact... :). Honestly, I was touched. And a bit overwhelmed by all of the components and a new set of rules to learn before the first club night of year. Bruce also brought out a game of Swashbuckler (I think that was the title--by Yaquinto from 1980) and some minis and played a couple of rounds of putting someone's eye out. Up next: Some rivers for Battlelore/CCA are drying. Then onto some painting, including some NKE chariots and a Flames of War infantry company. 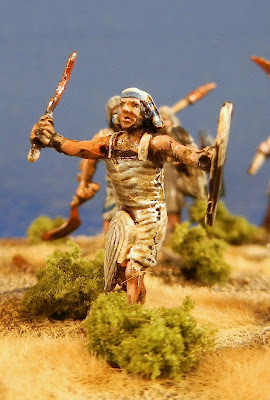 These are the last of the foot for Craig's 1/72 New Kingdom Egyptian basic impetus army. 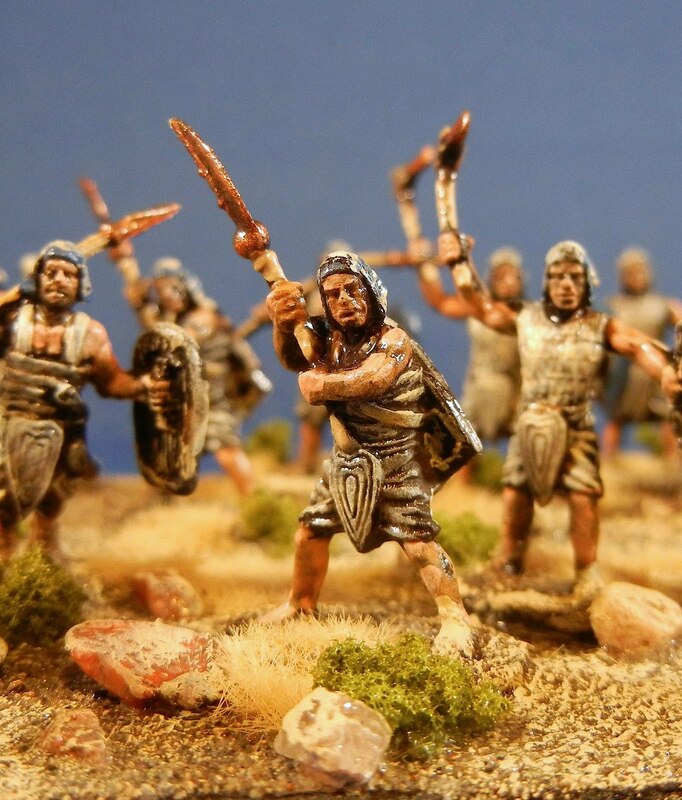 These are Caesar figures. Overall, lovely figures to work with. I have the chariots built and primered and will tackle them this coming weekend. 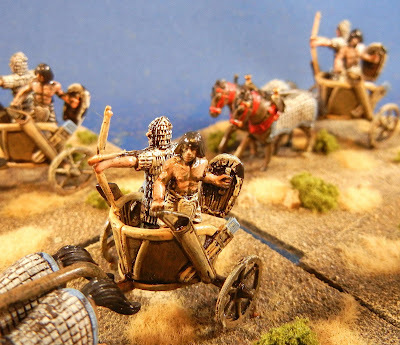 So far the chariots have been the least frustrating chariots I've out together in any scale, just narrowly edging out the lovely Wargames Factory Celtic chariots in 28mm. 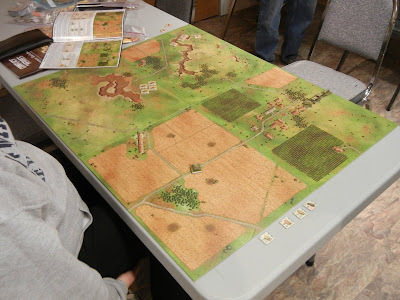 Up next: I spent the weekend building a river system for varoius Richard Borg boardgames that I play using miniatures. I just need to drybrush and flock the bases a bit. 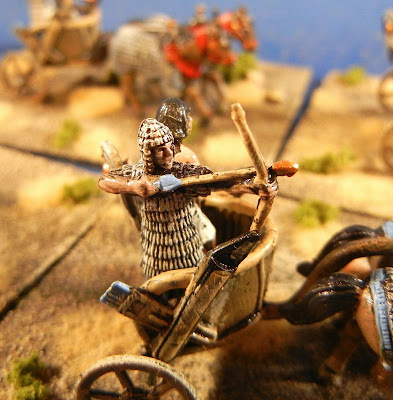 I also have six 28mm cavalry underway and then onto the NKE Egyptian chariots. I also have a couple of commissions en route and the club's last game of the year is this weekend. Any, most exciting, two expansions for Battlelore arrived in the mail today. 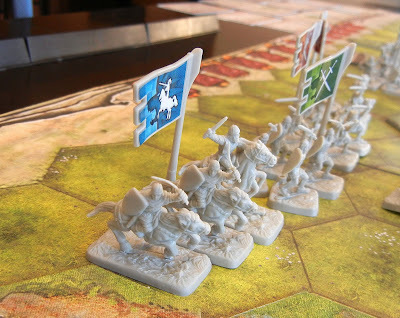 I hope to get a game of Epic Battlelore in with Craig over the holidays to playtest my MayDay game. 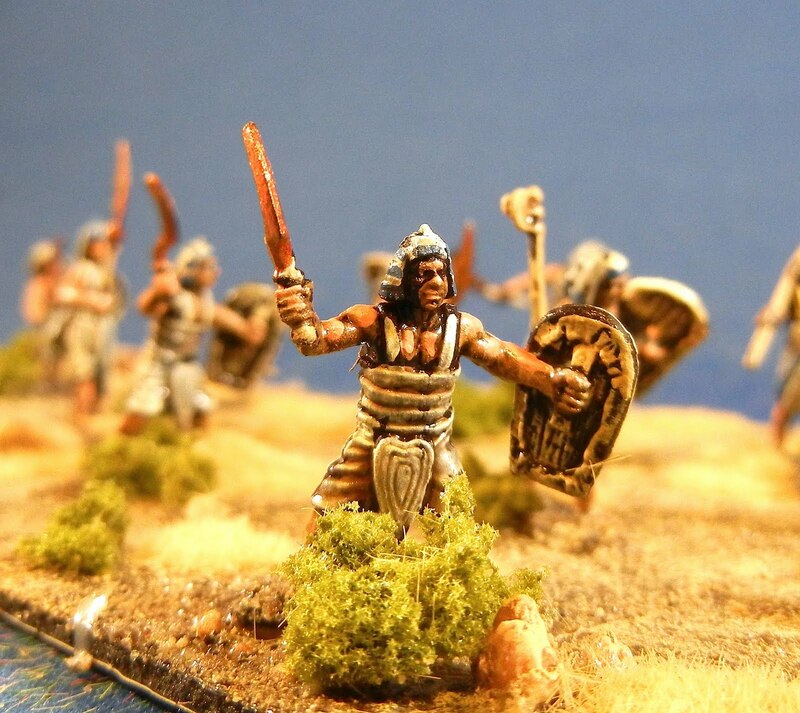 Here are a few more of the Egyptians I painted for Craig. 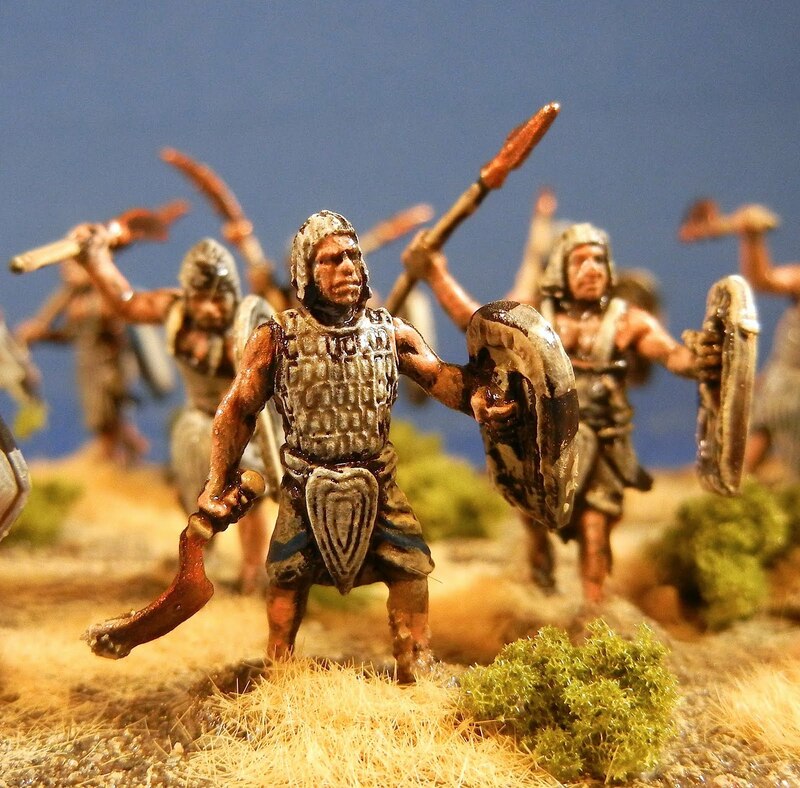 These are 1/72 figures produced by Caesar. First up are three bases of skirmishers. Most are armed with spear but there are a few slingers in the mix. Then there are four bases of bow. These are nice figures with a good mixed of poses and clothing. I'm pretty happy with how the flesh came out. Up next: Some light Egyptian foot are drying, I'm working on some river terrain for CCA/Battlelore for my MayDay game and I have a couple of 28mm mounted dark ages guys underway. It is also the last club night of the year on Tuesday. Craig passed me a couple of boxes of Caesar New Kingdom Egyptians to paint and I have managed to finish off the foot. The chariots I will do over Xmas, I think. First up are four bases of heavy foot. Sorry this group shot is a bit soft--not sure what the issue was. And Thanks to Dave for the refresher on Impetus base sizes as well as the army lists. 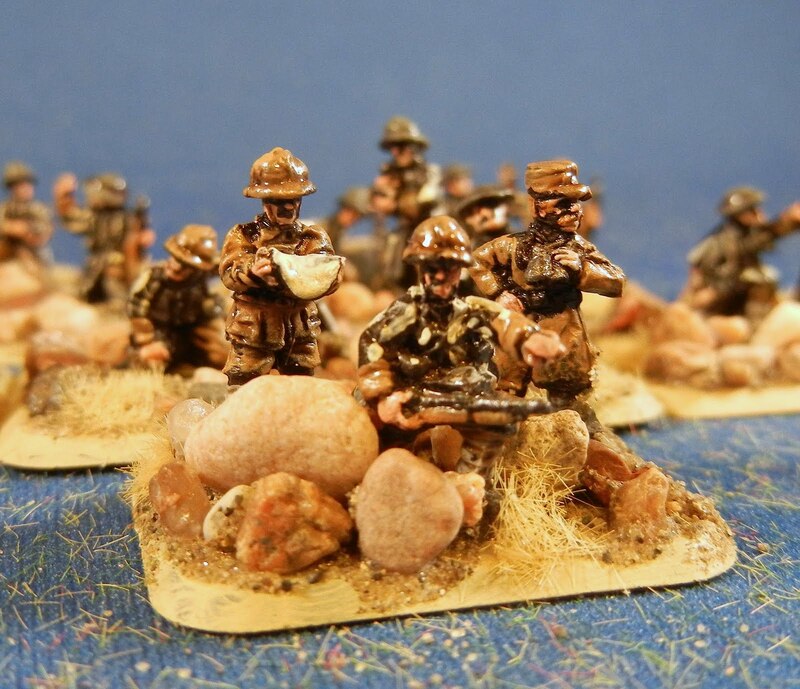 These are based on 120mm frontages and I think these fellows are 40mm deep (heavy foot). The Caesar figures are very nicely done. I'm not a huge fan of ring hands and separate shields in 1/72 (although the effect is lovely) but these guys went together far nicer than, say, Italeri kits with similar assembly. Up next: Some skirmishers are drying, then four bases of bow and four bases of light infantry and that completes the foot. Add in four chariots and Craig has the minimum army needed to play. I see he has quite a set of boxes of opponents sitting in his basement. 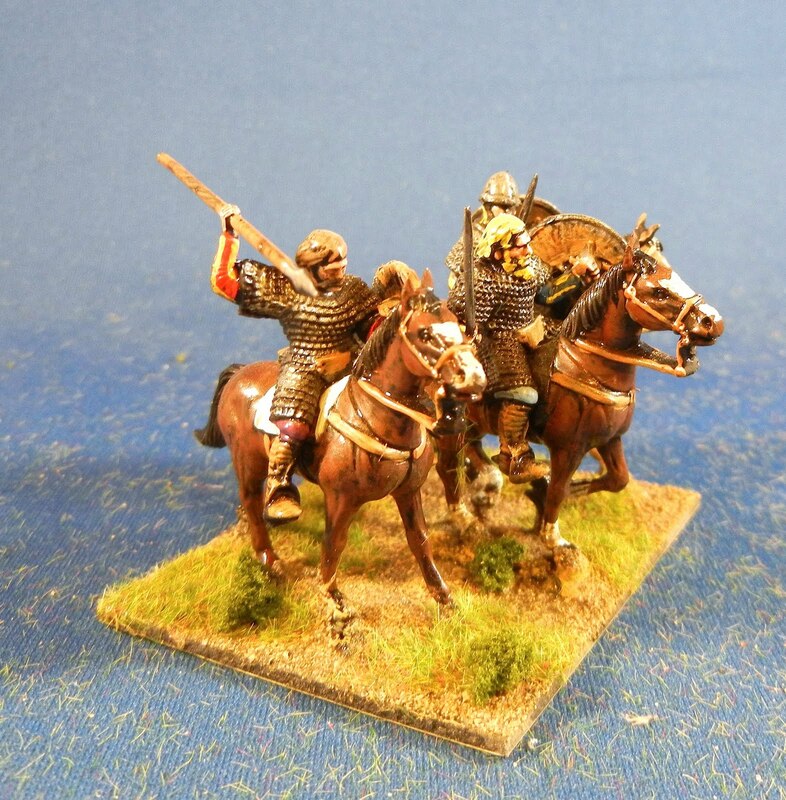 I also have some 28mm mounted dark age fellows for my MayDay game. I dropped in on Bruce last night and we had a third go at A Few Acres of Snow. Again the French won through settlement but we had a few new experiences. The French besieged Halifax as soon as the British occupied it, which put the British back a bit. They eventually re-took it (they are better able to play militarily. Ambushing also played more of a role. I thought the game was quite close until the final count came in clearly for the French. I've been reading on line a discussion (or as close to a discussion as people have online) that the British can win an entirely military game (thus the game is "broken"). I wonder about that as a strategy--can the French counter by ambushing and raid 12 cubes away from the British? 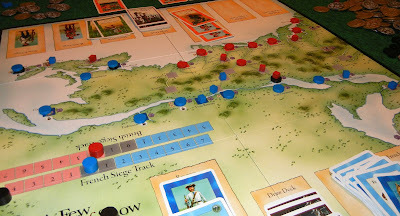 I also wonder if the British game is not to grab the settler cards early and slow the French way down. We'll have to try that. 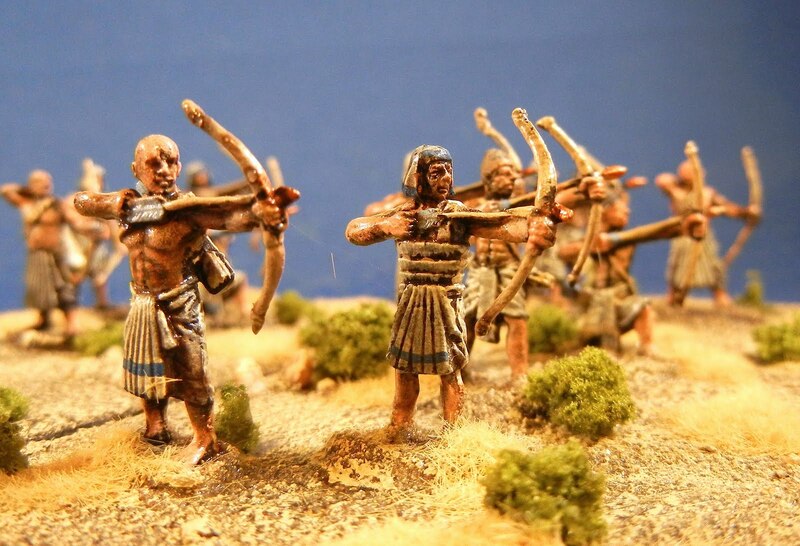 Up next: I have some 1/72 Egyptians underway--need to do some trim work and the base them. I also have the last of my 28mm mounted dark ages underway to fill out the ranks for my MayDay game. 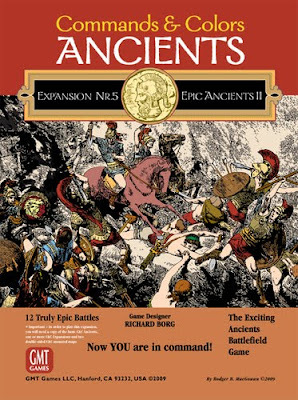 I await delivery of my epic Battlelore expansion--hopefully in time for the club on Tuesday.